Looking to buy or lease a new Toyota? Then come to Peoria Toyota to browse our new Toyota inventory. Our Toyota dealership in Peoria, IL, offers impressive new Toyota specials that can help you save when financing a Toyota sedan, truck or SUV. You’ll be amazed at how much our new Toyota lease offers can save you, and you’ll be thrilled with our new Toyota financing offers that come with low interest rates. We love to run exciting lease specials, as well as offer Illinois drivers exceptional financing rates on new Toyota models. 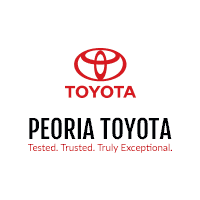 The Toyota finance center at Peoria Toyota is skilled at finding competitive Toyota cash and finance offers, so come speak with a member of our Toyota sales or financing team today. We’ll help you lease or buy a new Toyota for less!